The iPhone 6S is likely coming on Wednesday this week, but we're already hearing news of the iPhone 7 and it sounds like it may be the thinnest phone from the company so far. 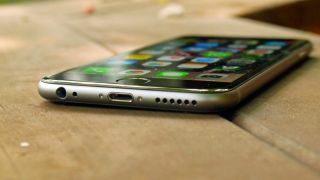 Ming-Chi Kuo, a KGI Securities analyst has said in a note to investors that they predict the next iPhone is going to be between 6.0 and 6.5 millimeters thick. While analyst stories are usually based on very little fact, Kuo has a decent track record of predictions for Apple products, noting the new 128GB variant of the iPhone 6 and various iPad rumours too. If that turns out to be true that'd make the iPhone 7 potentially as thin as the current iPod Touch and the iPad Air 2 that are currently 6.1 millimeters thick right now. That won't mean an end to force touch technology though as Kuo said, "Apple and its suppliers have invested heavily in iPhone force touch in 2015 and we believe 2016 new models will stick with a similar force touch structure as used in 2015." It's expected the iPhone 7 is going to be a big change from the iPhone 6 design but the upcoming iPhone 6S is sure to have the same design with some major changes to the internals. We're expecting a new camera and the A9 processor to be introduced alongside the introduction of Force Touch.